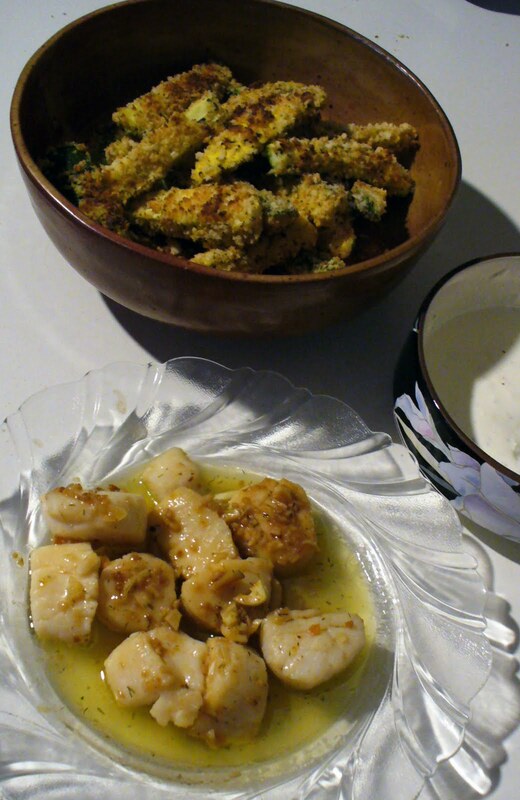 Cheap and Easy Baked Zucchini Sticks, Lemon Butter Scallops and Dips! Baked Zucchini Sticks, Lemon Butter Scallops and Dips! Recently I have been trying to incorporate more vegetable’s in my daily routine, but unfortunately my love for all things fried, deep fried, or coated in butter (damn you Paula Deen for making such delicious food!) has made that goal just that more difficult than it really should be. It’s for a lovely variation of an Outback “Bloomin Onion”, but the healthier, baked way with zucchini! It was very easy to make, and for two people, was plenty of zucchini to go around! 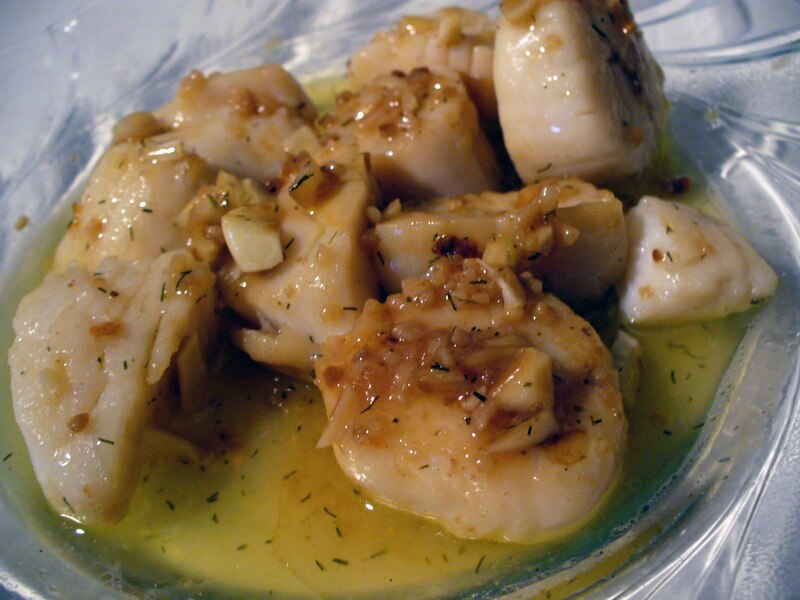 I had some scallops in the fridge (bought on sale of course!) and decided to do a quick sauté with fresh garlic, lemon, and a smidge of butter. So good! The dip sounds lovely, and is going on my “to try” list, but I actually didn’t have any onions on hand to make it with. I just did a blending of some light sour cream, ranch, and some of the roasted lemon butter garlic from the scallops and used that for my dip. It actually turned out quite delicious. Overall, it was not a very difficult to make, and was quite delicious! I personally loved the crunchy outside of the sticks with the soft inside part of the zucchini. The sticks actually held up pretty well for next day consumption. Obviously they weren’t as crispy as they were right out of the oven, but for an afternoon snack they were pretty good! 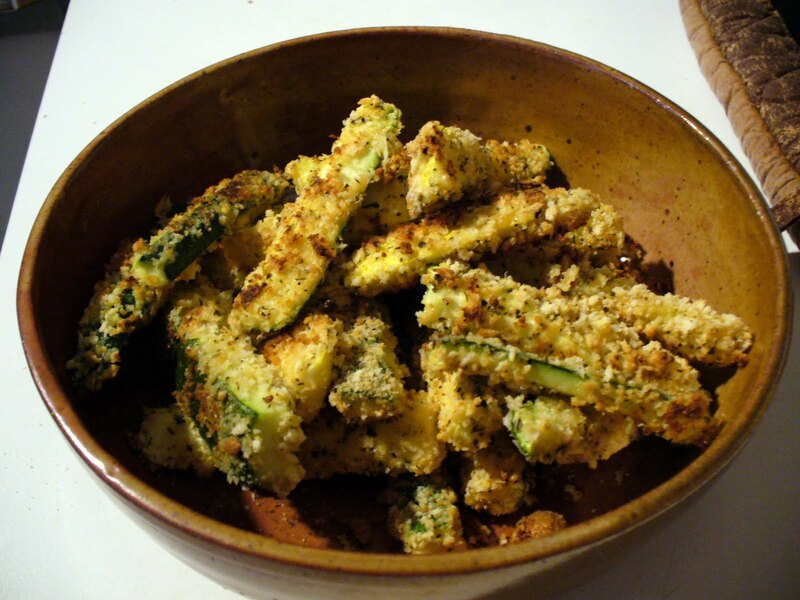 I peeled off some of the breading the next day, and the flavor had seeped into the zucchini and was quite yummy still. If you want to try this out, and I do suggest you do, let me know if you have any questions or anything, I’ll be happy to share my insight!